Need PCM coupons or a PCM.com promo code? We have compiled offers sent directly by PCM.com and scoured the internet for all the bargains we could locate to provide the most comprehensive listing of discounts and promotions. Generally you simply need to click on our links to access a PCM coupon. When there’s a coupon code, clicking our link is only the first step. After you add the items you want to order into your shopping bag, you’ll still need to enter the PCM discount code. Confirm that the PCM code was accepted and you received the expected discount. PCM was previously called PCMall, and as the name implies, they are a huge shopping site for everything related to personal computers. 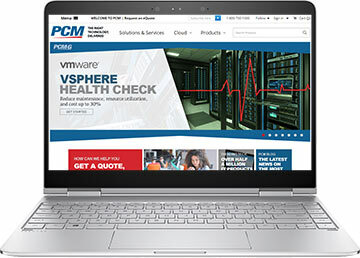 They don’t just sell desktop and laptop computers, they sell just about everything related to IT, so they can be a enterprise class technology partner for your business. PCMall used to also operate OnSale.com, but that has closed and now redirects to the PC Mall section of their MacMall.com website. Access them at www.pcm.com (previously PCMall.com) and you’ll be able to buy desktops, laptops, tablets, convertible PCs, all-in-ones, thin clients, and workstations from brands like Lenovo, HP, Dell, Acer, Apple, Asus, Microsoft, Google, ViewSonic, Samsung, and more. Shop for computer monitors including CRTs, large format displays, touchscreens, POS, and of course LCD monitors. Likewise you can buy all sorts of projectors, as well as the associated projector lamps, screens, carrying cases, and accessories. eCOST.com used to be an online retailer that was owned by PCMall, but this store has been shut down. It didn’t just sell computer items, it sold electronics, jewelry, and other household merchandise.